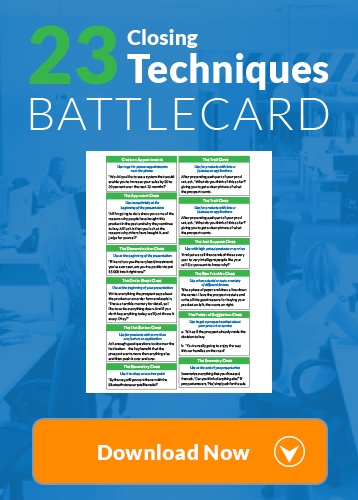 There are seven steps to the sales process. These steps have to be followed in a logical sequence, like dialing a telephone number, or you don’t get through. Ask questions, use effective listening skills, and answer any objections the customer may have and you will soon be on your way to closing the sale. Selling out of sequence kills the sale. You can do all the right things, but if you do them in the wrong order, just like preparing a recipe, you will not be successful. This is the process of finding qualified prospects who can and will buy and pay for your service within a reasonable period of time. Prospects today are overwhelmed with too much to do, and too little time. As a result of past experiences, they are skeptical, suspicious and often distrustful of salespeople and sales efforts. The best way to build trust and rapport with customers is to ask questions focused on the customer and then use your effective listening skills throughout the conversation. Many salespeople talk themselves out of sales every single day but it is very hard to listen yourself out of a sale. If you mention or discuss your product, service or price before you have established a high enough level of likability, trust, and credibility with a prospect, you will kill the sale. 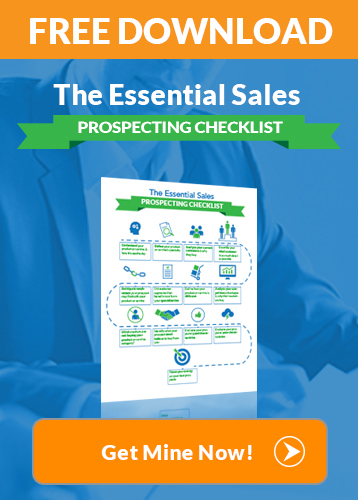 The prospect will tune out and will lose all interest in doing business with you. This is why you must be patient at the beginning and ask questions, listening closely to the answers, as a way of building trust. Based on the interviews with tens of thousands of prospective customers, this is the turning point in the sales process. It is only when you ask questions, carefully organized, to accurately determine that this person has a genuine need for your product or service, that the sale can proceed. The best part is that, the more questions that you ask in attempts to fully understand the needs of the customer, the more the customer relaxes, believes you, and trusts you. The more the customer believes and trusts you, the more the customer believes that the product or service is the right one for him or her. First: Ask questions and focus on helping the customer. Second: Use effective listening when speaking with the customer, do not interrupt. Third: Pause before you reply to show the customer you are carefully considering his words or answers. Fourth: Question for clarification. Ask “How do you mean?” before launching into your reply. Listen intently to the answers. Remember, by using effective listening you are building trust. The more you listen to the answers to the questions you have asked, the closer you move toward a possible sale. Your ability to present your product or service in a logical and orderly way is the “inner game of selling” where the sale is made. It cannot be left to chance. Once it is clear that the prospect wants, needs and can benefit from your product or service, your job is to show the prospect that your product or service is the logical solution to his or her problem or need. There are no sales without objections. Objections indicate interest. You should write down all the reasons that a qualified prospect might give you for not proceeding with your offer, and then develop logical answers for those objections. When the customer brings up the objection, you pause, question for clarification, and then answer the objection in such a way that the customer is completely satisfied. Closing the sale is a logical step in a professional sales process. You first assure that the customer has no lingering questions or objections and then you invite the customer to make a buying decision. This should be simple, straightforward and stress-free. There are practiced, professional ways of asking for the sale that are ideal for different products and services. One of your jobs is to learn how to close the sale painlessly and professionally and move on to completing the paperwork and delivering the product or service. The final step in the sales process is taking such good care of the customer that the customer buys from you again and again, and tells his or her friends. The key to getting referrals is to “be referable.” Respond quickly to customer needs or problems. Ask for referrals after each customer interaction. Follow-up and report back to the customer with what happened when you contacted the referral. The good news is that every salesperson in the top 10% today started in the bottom 10%. All sales skills are learnable. 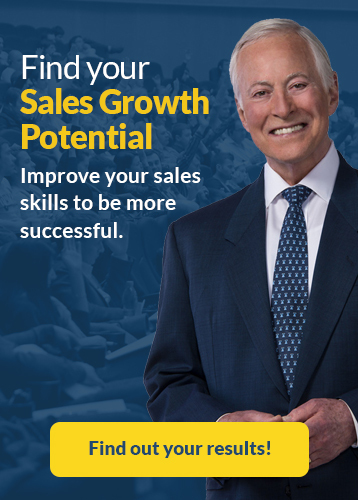 You can learn any sales skill you need to learn to achieve any sales goal you can set for yourself. There are no limits except the limits you place on yourself. Your ability to sell more, better, faster, and more efficiently than before is the key not only to your personal success as a salesperson, but to the success of your company, as well. Thank you for reading this article on building trust and using effective listening to grow your sales. By training your salespeople to ask questions and to become results oriented you can achieve ultimate success. Please share this article with others and comment below!